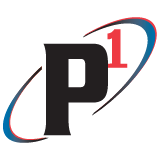 Talented technicians are just one of the ways P1 Group excels at customer service. That’s why P1 put together a service technician training committee. The committee was assembled over the summer with the goal of developing a technical training curriculum that will address the topics most vital to our associates. If you have any involvement with your facility’s HVAC, chances are you’ve been hearing about the R22 phaseout. But be warned: simply Google searching your options could lead you down a path of misinformation. P1 Group Service Manager Brian H. is here to set the record straight.